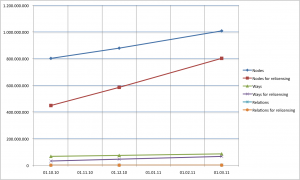 contributor terms : Neis One! 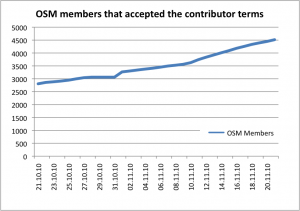 Overall for the past month about 57 accepted the new CT every day. 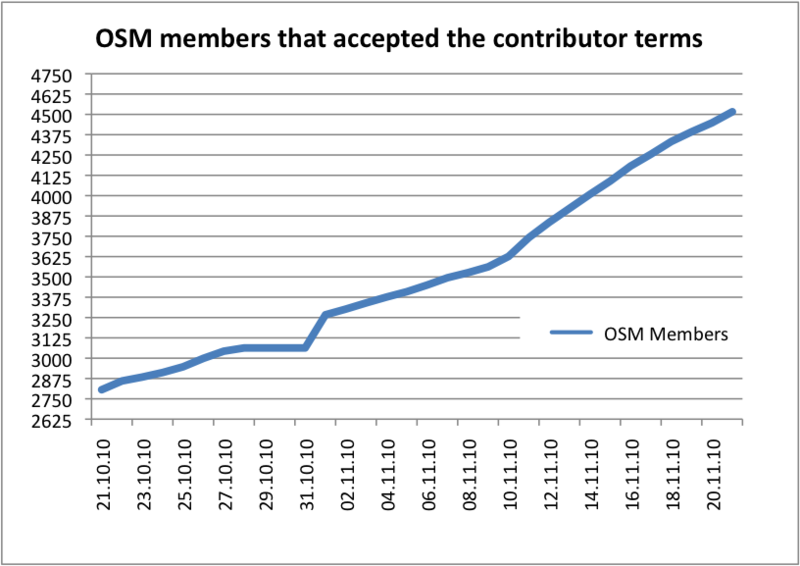 This is nearly the same amount as during the months that have been analyzed before. 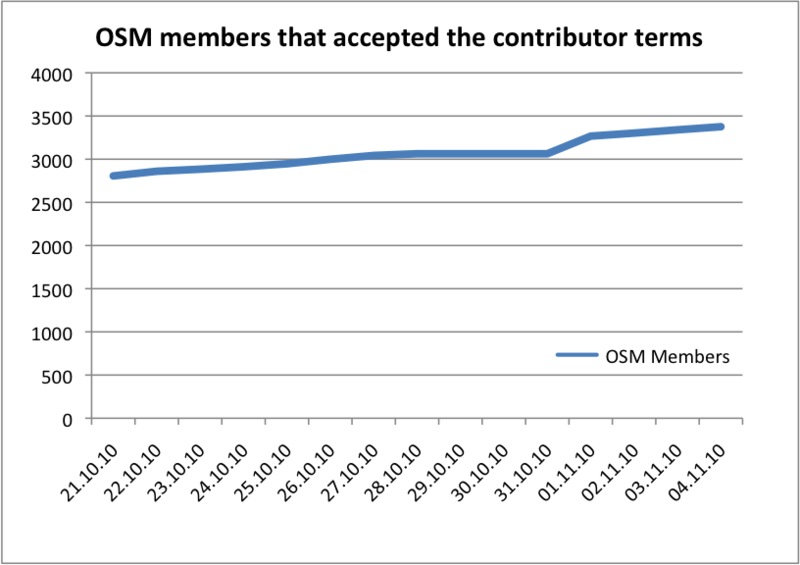 But what does this exactly mean for the relicensable OSM data? 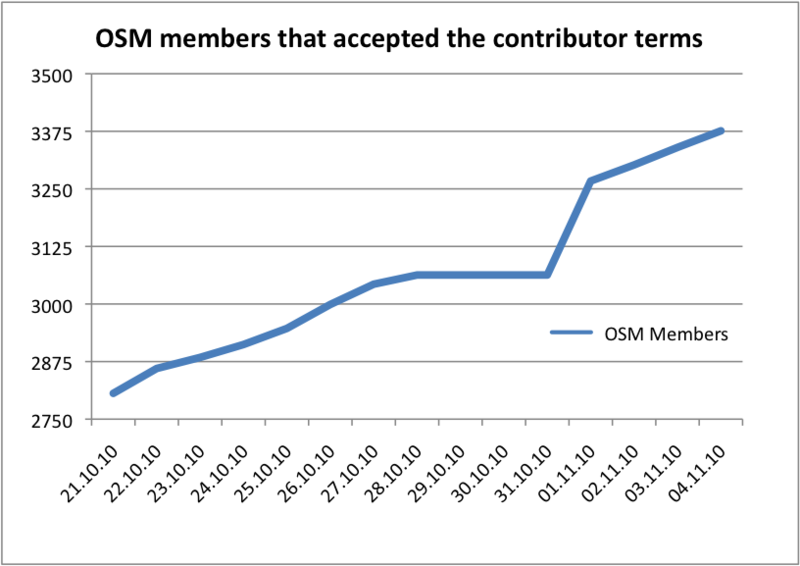 Almost 2 months ago I did a post about the “Change of OSM object numbers through relicensing”. At this time there were about 55% of all OSM Nodes and 47% of all OSM Ways available for relicensing (you can find my post here). 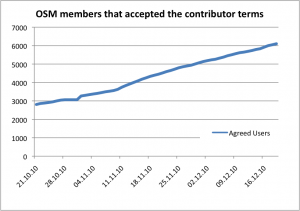 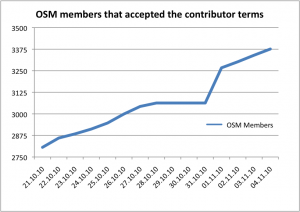 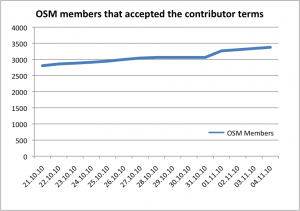 As I mentioned in an earlier post, since October 10th there is a list of OSM member accounts available that have agreed to the contributor terms. 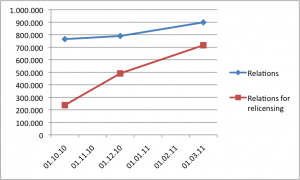 The file is available here and it will be refreshed every hour. 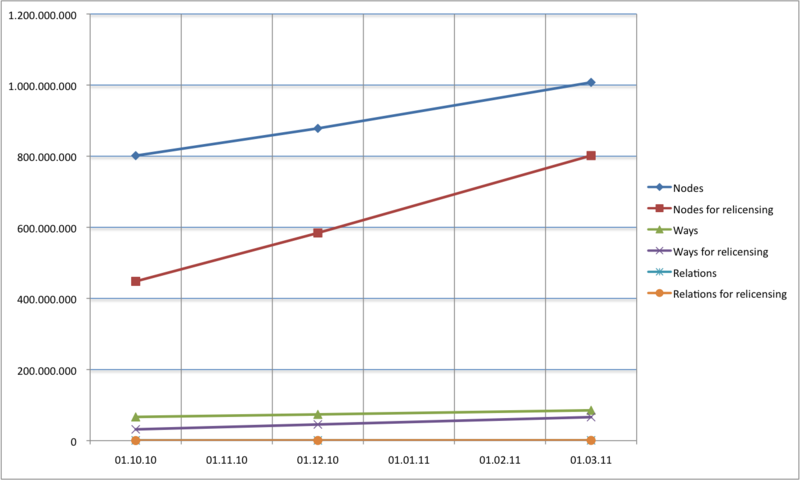 I created a diagram that shows the increase of the number of accounts in the past. 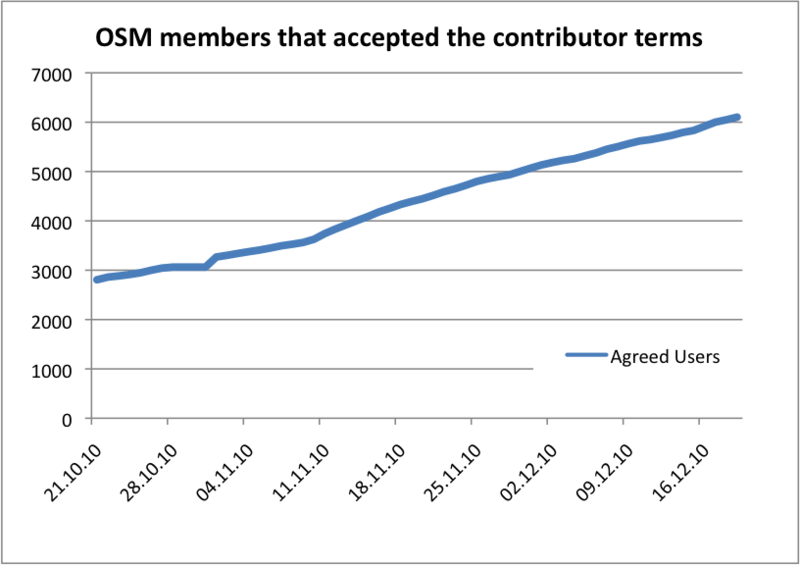 So for the past 15 Days, in average, about 38 members accepted the contributor terms every day. 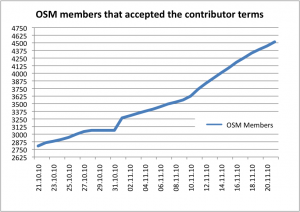 As you can see in the figure above, there was a problem while creating the users file on the server between Oct. 29 and 31. 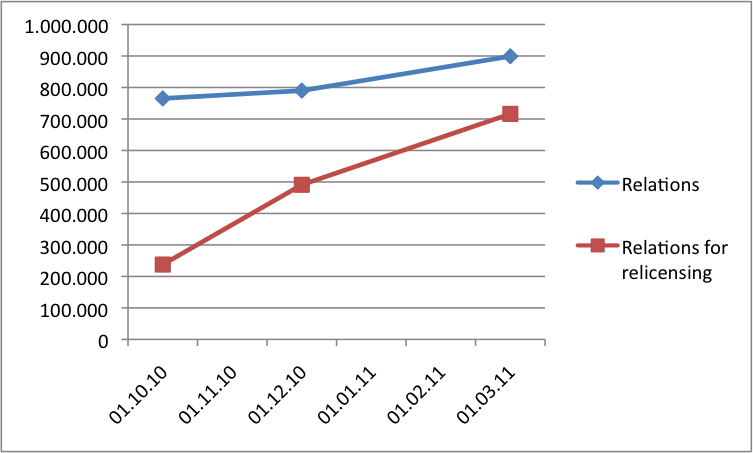 It seems to be working normally again by now. 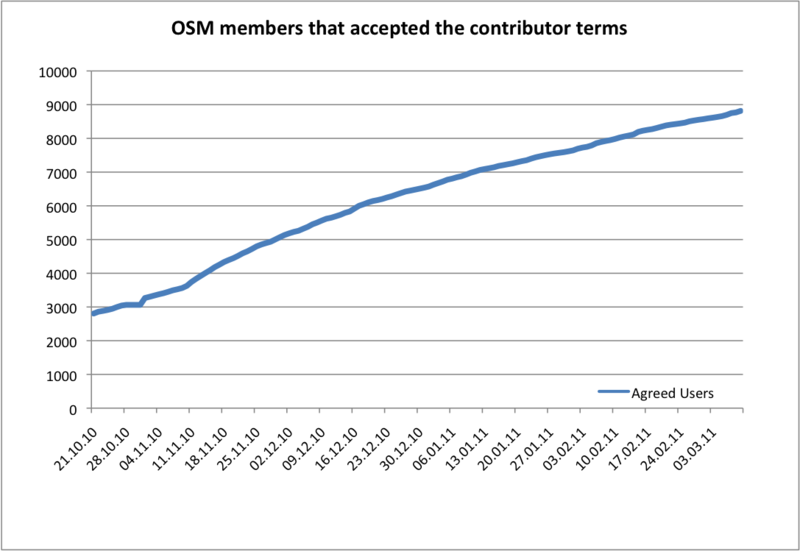 Remember, new OSM members do automatically agree to the new conritbutor terms, so that they are NOT counted in this list!